Even as we dig comfortably into the 21st century, recharging wireless headphones — be it finding the cable, finding the time, or simply remembering to do it in the first place — is a struggle for all but the most diligent planners among us. That’s why, after a week logging tens of thousands of paces around Las Vegas at this year’s Consumer Electronics Show, we’re overjoyed to report that going wireless for your audio thrills is about to get a lot easier. That’s because the vast majority of the 2019 wireless headphones showcased by major brands in the city of mischief this year will have extraordinarily long battery life. Where previous CES conferences showcased improved fidelity, pairing, and signal strength, the unsung hero of this year’s event was battery efficiency. 2019, it seems, is the year of juice. From true wireless in-ears with nearly double the 5-hour maximums touted by previous generations to noise-canceling over-ears with 30-plus hours of playback, you’ll be searching for that charging cable a lot less in the near future. That also means there will soon be very few reasons to lament your missing headphone jack at all. If you want to mess with the best, you need the specs to match. Longer battery means there will soon be very few reasons to miss your headphone jack at all. 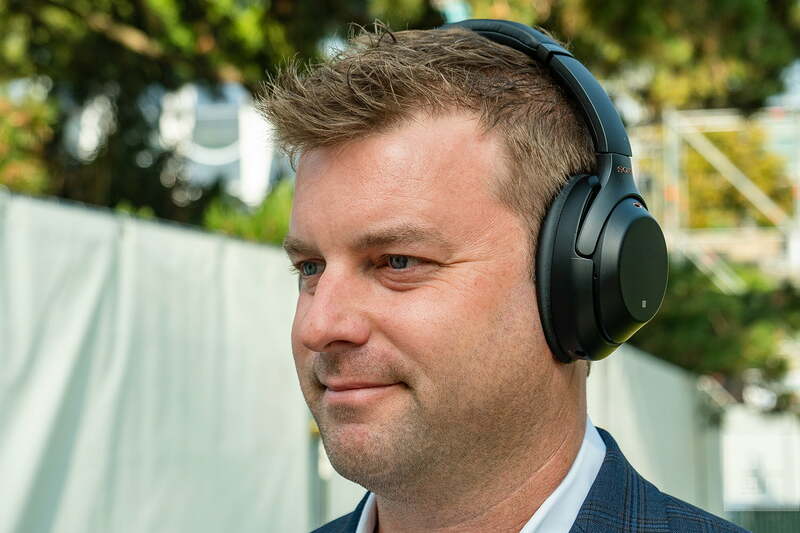 In response, virtually every flagship pair of headphones we encountered at this year’s CES conference, from the gorgeous Beyerdynamic Lagoon ANC (25 hours of playback with ANC on, a staggering 45-plus hours without), to Audio-Technica’s new ATH-ANC900bt (35 hours with noise canceling), and even the sustainably designed House of Marley Exodus (35 hours), wireless headphones are taking aim at Sony’s class-leading numbers from all sides. What’s more, many of the latest headphones come in at more affordable price points than the WH1000xM3’s $350 price tag, and though that could mean a loss in features or fidelity, it also means you’ll be able to get massive listening time for less. Going back to Audio-Technica, alongside its new flagship ANC900BT ($300), the iconic audio brand also introduced a $100 pair of noise-canceling cans, the ATH-ANC500BT, with a whopping 20 hours of battery life – pretty incredible for the money. So, what’s the deal with these bulging battery numbers? Have batteries just suddenly gotten better? Actually, as we alluded to above, a big part of this evolutionary leap can be attributed to battery efficiency, which comes thanks in part to new Bluetooth chipsets like Qualcomm’s QC3026, among others. 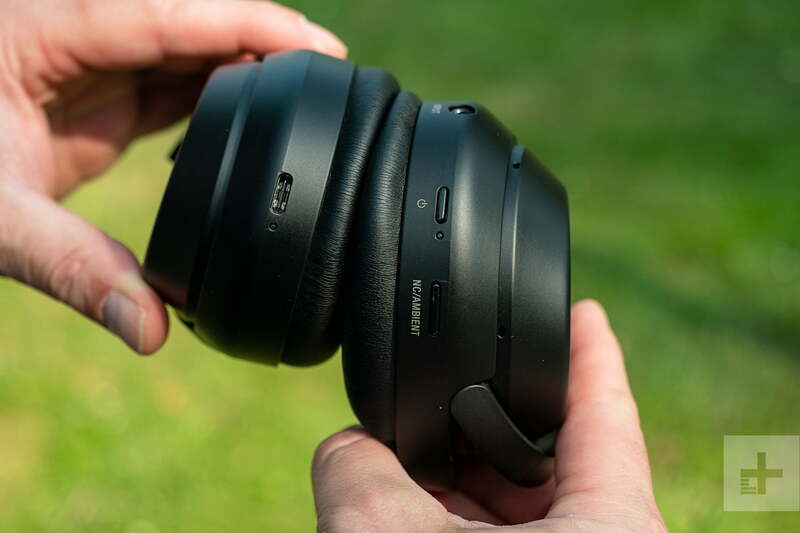 Aimed at true wireless headphones looking to outdo Apple’s incredibly popular AirPods, the QC3026 is part of a new generation of Bluetooth chips designed to vastly increase the current battery standard through ultra-efficient Bluetooth transmission. And while all headphones can benefit from increased efficiency, it’s especially important for the tiny batteries inside true wireless earphones. Up until very recently, the best you could hope for in a pair of true wireless earbuds was a solid 5 hours of listening time. 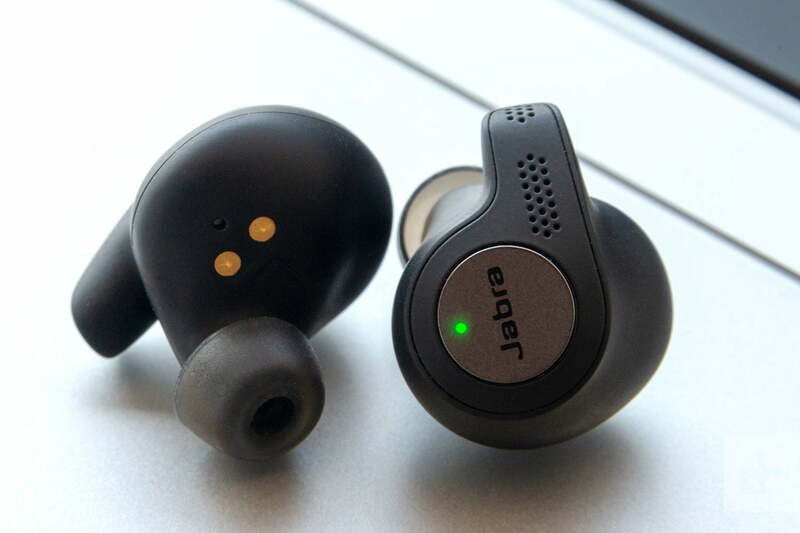 From fantastic waterproof options like the Jabra Elite Active 65t to the industry-leading Apple AirPods, there weren’t many headphones of substance that broke that 5-hour barrier. Now that 5-hour maximum has essentially doubled, providing very little reason to consider a pair of banded (or tethered) wireless in-ears (aside from saving some cash), especially with so many true wireless headphones coming with rechargeable storage cases. At this year’s CES conference, we saw models like Klipsch’s T5 wireless (8 hours), House of Marley’s Liberate Air (7 hours), and others, all of which boasted significantly improved battery life from previous generations, with plenty of reserve battery in their charging cases. That’s a big deal in terms of both usability and overall convenience. With such vast improvements to battery life landing in so many different models, wireless headphones in 2019 will finally live up to their potential, becoming the ultra-convenient listening accessories we’ve long hoped they’d be. 2019 is the year of juice. From early days as expensive and somewhat finnicky devices that only lasted a few hours between charge-ups, to more affordable devices that can hang on for days off the grid, or rock out through a 24-hour trip around the globe, wireless headphones have come a long way in just a few years. Add in improved sound and mountains of features and there will soon be very little reason left to plug in. And that, dear readers, is a beautiful thing.